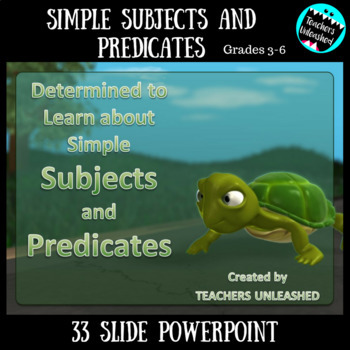 This 33-slide presentation will dazzle your students with colorful animations while helping them learn about simple subjects and predicates. 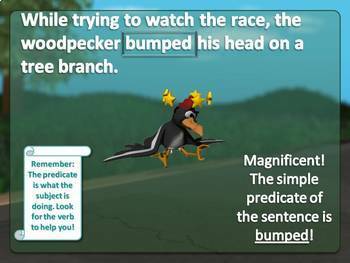 Students will first learn about what simple subjects and predicates are, then guide them to identifying them in sentences, and finish with fun test prep questions to solidify the standard. 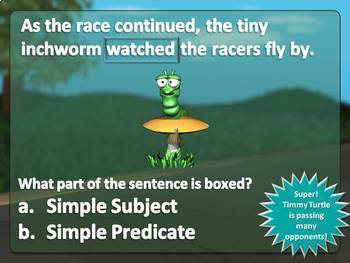 Students are on a quest to help Timmy Turtle win the Subject and Predicate Race. 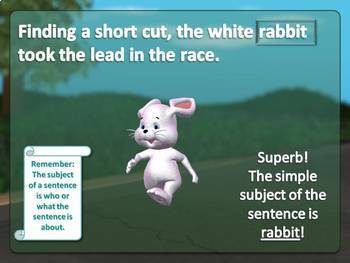 You can't lose with this awesome PowerPoint!